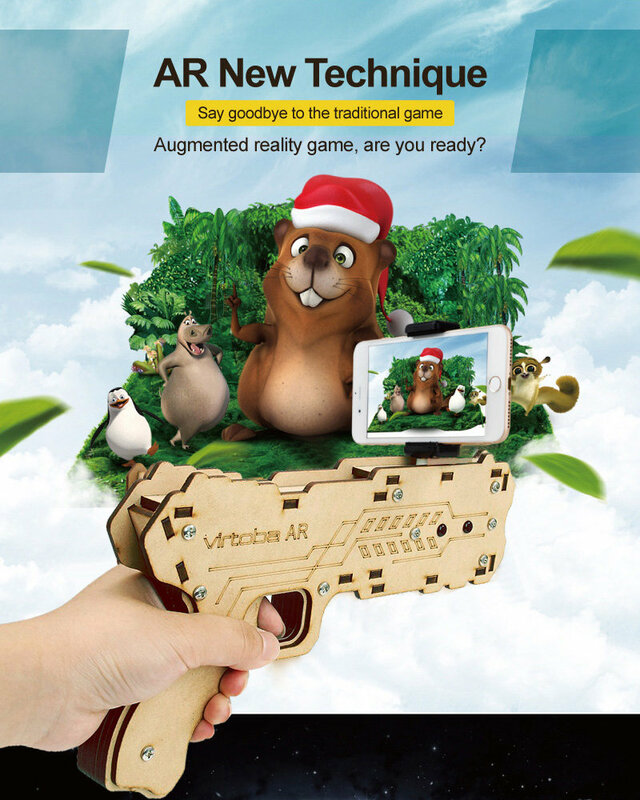 Virtoba AR Gun is a DIY-expandable toy gun that combines AR technology with electronic technology. 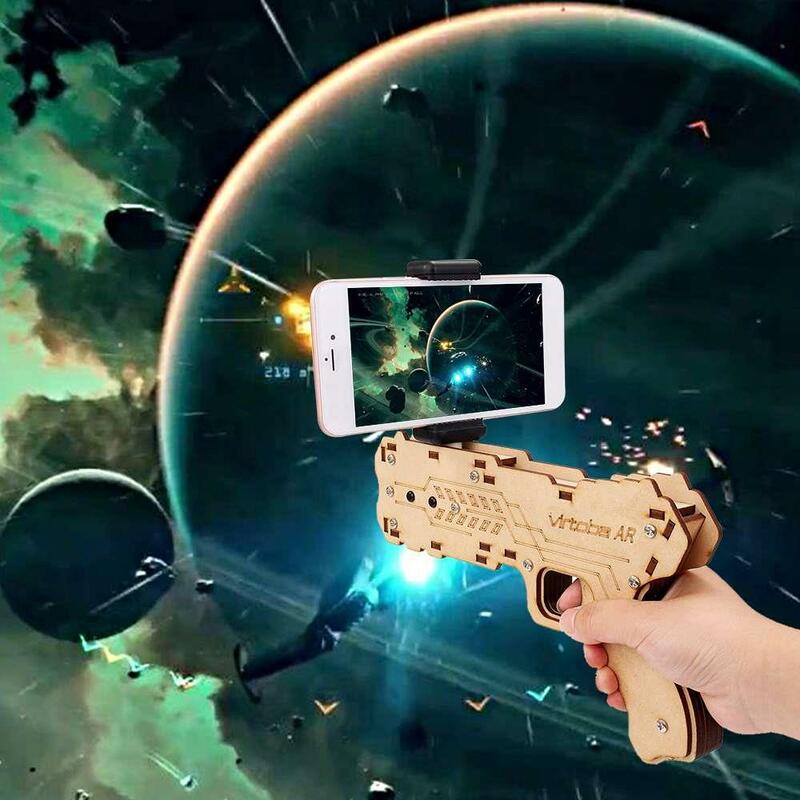 With the AR-Gun APP, the real world will be integrated with the virtual game world to enhance the realistic experience. Built-in virtual radar, the player can move or turn around to find the enemies and pull the trigger to kill them. 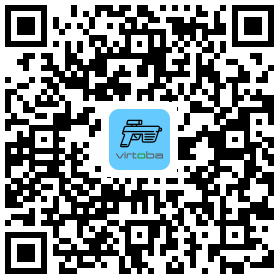 Virtoba AR can connect with Apple iPhone 5/5s/6/6s/6 Plus/7/7 Plus/Android Phone by Bluetooth. 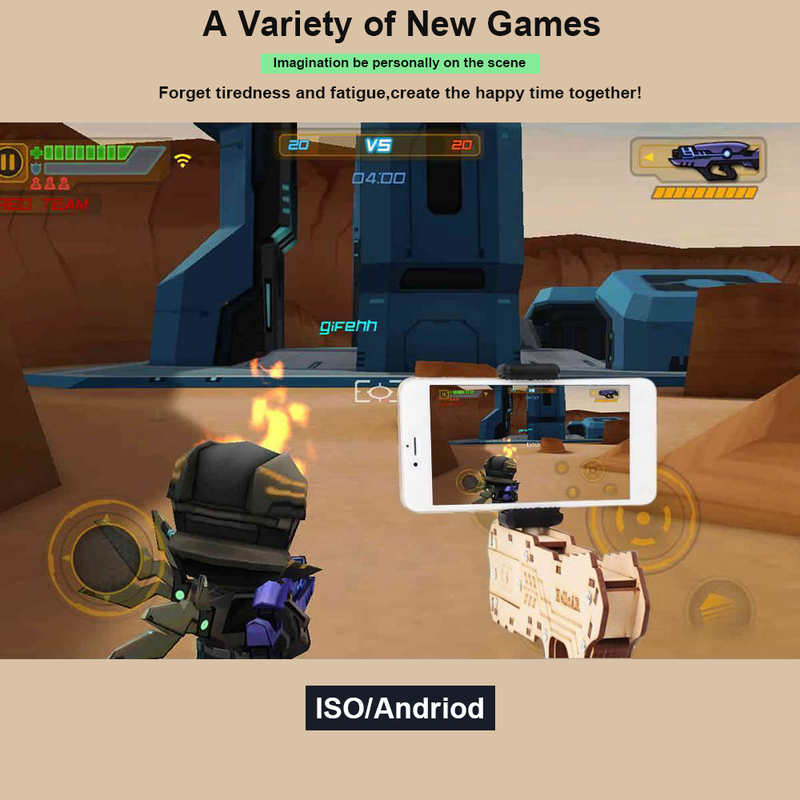 For iPhone,APP can be downloaded from APP store.For Android phone,AR GUN APP can be downloaded from google play. 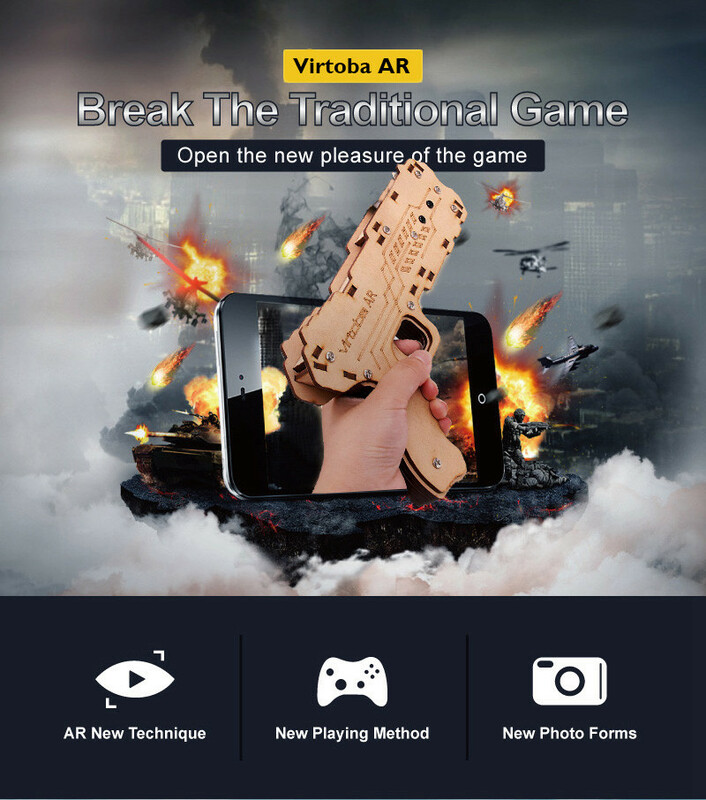 High density OSB wood material,smooth surface,environmentally friendly, safe and healthy for user, Virtoba AR Gun is the perfect choice for child. Scan the QR code to download app and start playing games right now. Or search “Virtoba” in Play store or App Store to install it.